All 28 parking meters in Barkly Street have been successfully upgraded, which will increase the efficiency of the meters resulting in less downtime due to errors. Ararat Rural City Council has completed its upgrade of its parking meters of the Ararat CBD and wishes to advise the community the monitoring of the system is now in place. “The advantage of the new system is that any faults will be communicated via email in real-time, reducing the period the meter will be out of service to the minimum possible,” Ararat Rural City Council Mayor, Cr Glenda McLean said. Cr McLean said Ararat Rural City Council is also offering the community an Ezy Park option for the upgraded parking meters. 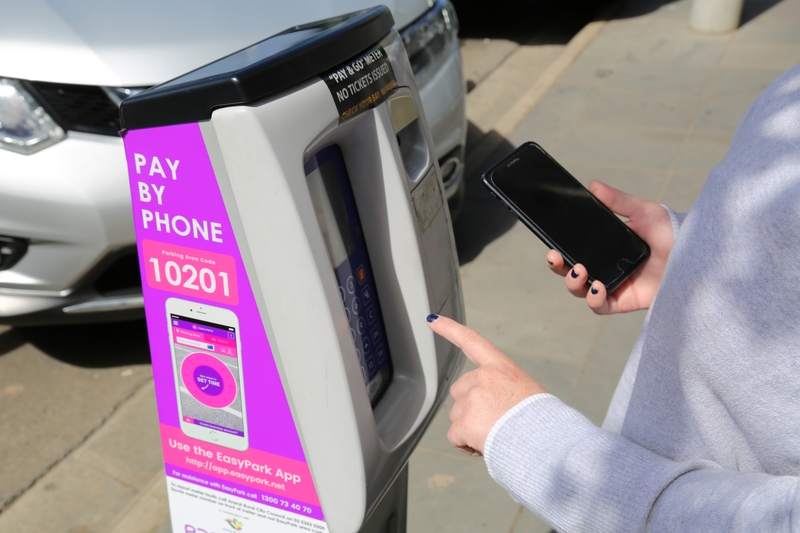 “Using the EasyPark App on your smartphone is simple and gives you virtual control of your parking from wherever you are,” she said. Council is also investigating running induction sessions with the EasyPark technicians to teach community members how to use the app.